Notes: Famously the first legal Scottish distillery in Speyside after owner George Smith took the brave step of applying for the first license to distil following the Excise Act of 1823, Glenlivet became so synonymous with the best quality that the company was forced to take legal action in the 1880s to prevent its rivals passing off their own wares as 'the Real Stuff'. 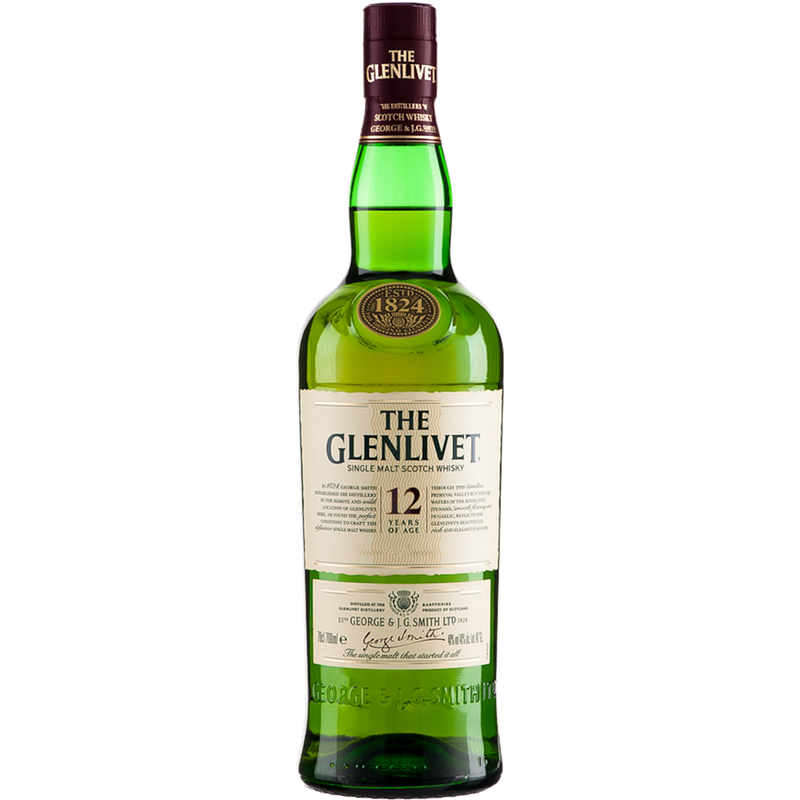 Despite the Smith family winning the exclusive right for their product to be known as 'The' Glenlivet, dozens of other distilleries persisted with the usage of the Glenlivet suffix (eg Macallan-Glenlivet) for decades afterwards.Although the distillery's standard 12yo epitomises the kind of soft, smooth, lighter style of Speyside malts beloved of so many whisky fans, Glenlivet's spirit has also proven itself to be more than capable of withstanding long years of wood-ageing. The ongoing Cellar Collection was created to showcase some of the superb older malts in the distillery's archives, and some extremely old sherried vintages going back to the 1930s have been bottled by Gordon & Macphail.